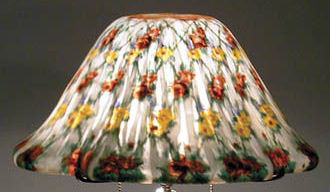 The Tivoli shade is fairly tame compared to some other lamps made by Pairpoint. The glass is wavy and the border is slightly irregular. 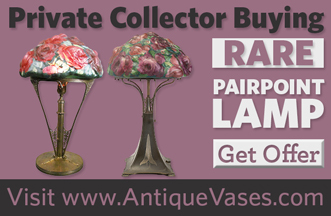 Otherwise it is just another reverse painted Pairpoint lamp.